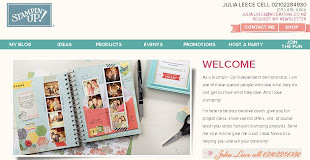 Tomorrow we are lucky to have a great 'Party Time' training put on by Stampin' Up! for us New Zealand demos. 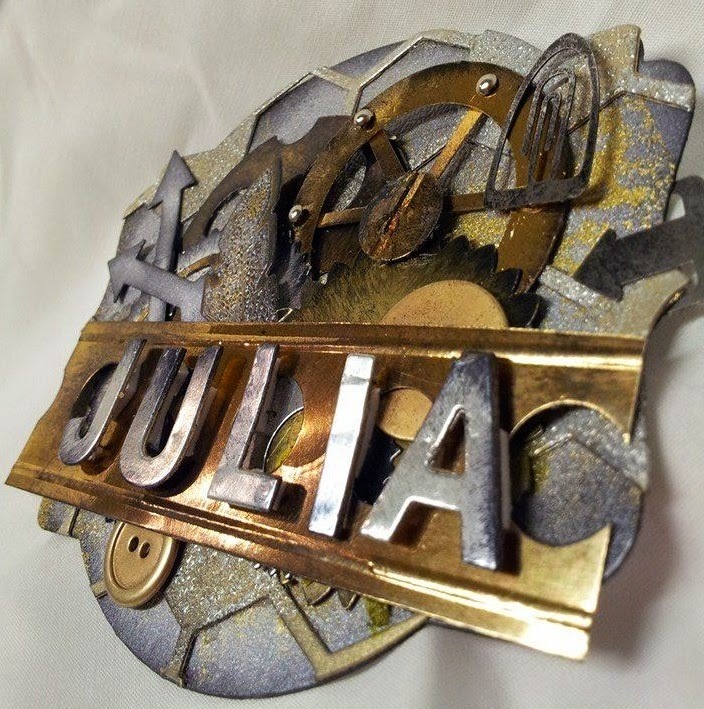 So part of what we are supposed to do is make a name badge (for a competition) and share a sample for a display board. 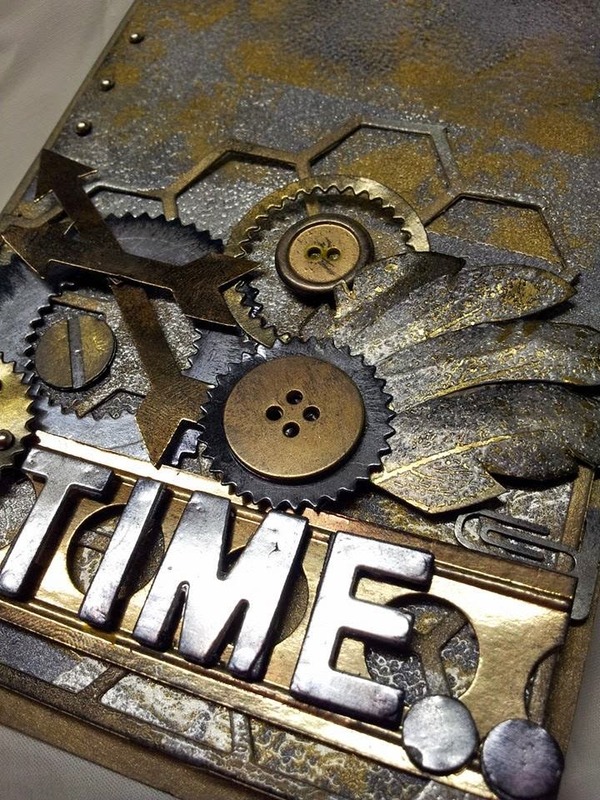 So I decided to go Steampunk! Everything on these two samples are 100% Stampin' Up! 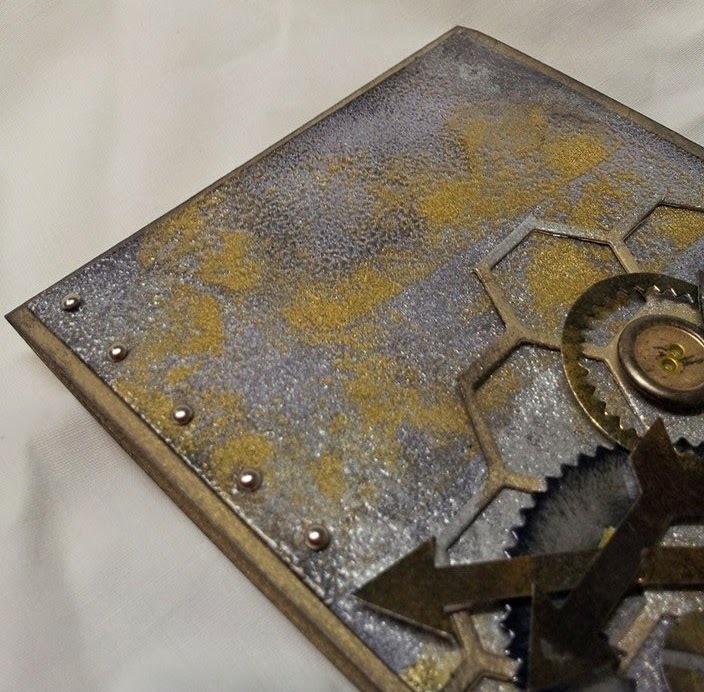 - I just used lots of punches and dies and the two different styles of metalic card stock we have - both the brushed and unbrushed ones. 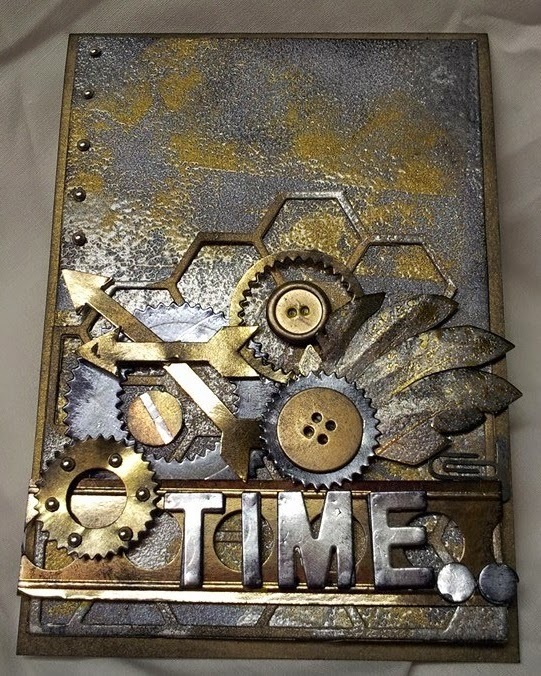 I used the Encore gold and silver inkpads along with black stazon and clear embossing powder to set them. 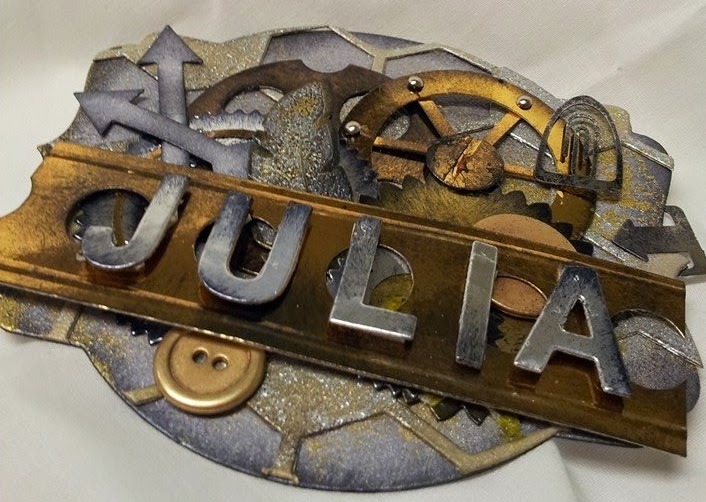 I'm really pleased how they came out with the buttons, paperclips and buttons too. 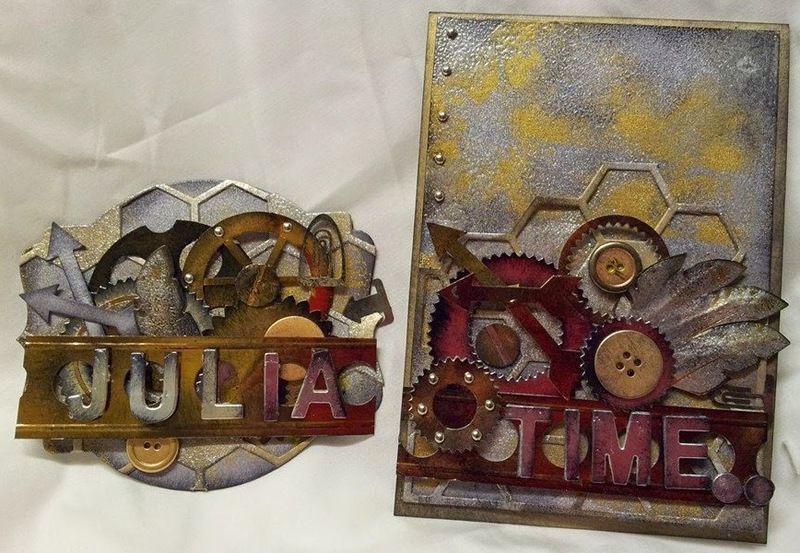 These look so awesome Julia, you do steampunk so well!!! 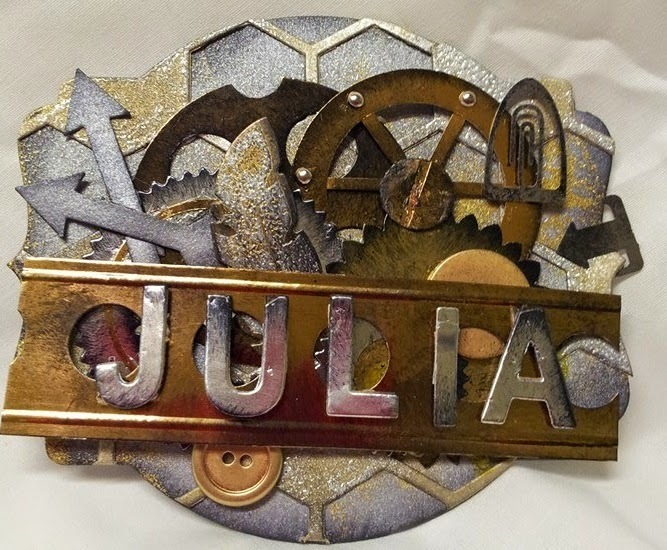 Wow Julia, loving your Steampunk name badge it looks awesome.